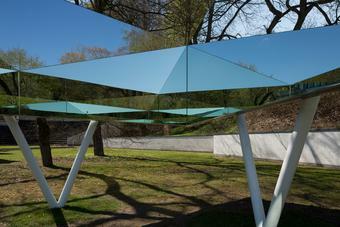 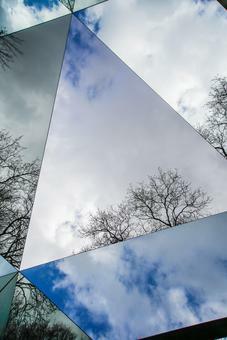 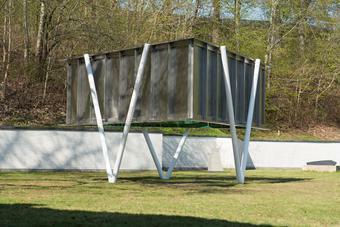 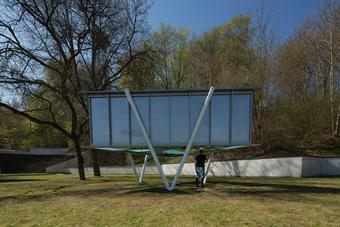 From the outside, Den trekantede himmel (The triangular sky) appears to be a simple triangular structure held up by three white V-shaped steel supports; on the inside, the work reveals a fragmented view of the sky above the visitors’ heads. 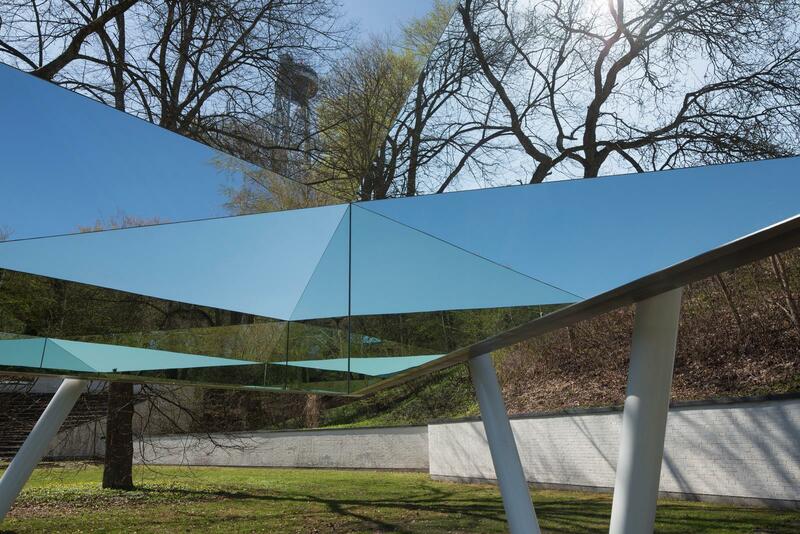 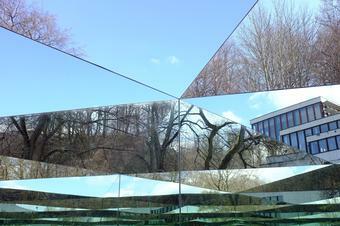 This powerful effect is conjured by a simple kaleidoscope; the steel panels that form the work, pragmatic and industrial on the outside, are clad on the inside with smooth mirrors and open to the sky above. 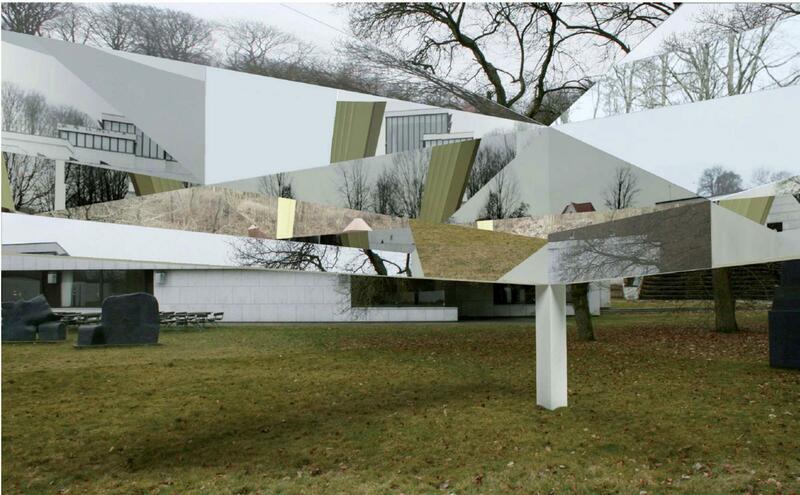 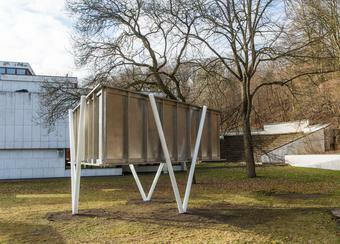 Ducking slightly to enter the work, visitors encounter a disorienting amalgam of sky, trees, and the neighbouring building, which was designed by Alvar Aalto to house the Kunsten Museum of Modern Art Aalborg, Denmark.